Mpumalanga is known for its spectacular landscapes and its teeming game reserves. But it also has an extraordinarily rich and vivid history that has not been recognised. The province's value for heritage and its contribution to tourism, education and economic development remain undeveloped. This ground-breaking study is aimed at ensuring that this province's compelling past lives on in the present. Written by some of South Africa's foremost researchers, and richly illustrated with historical and contemporary photographs, it tells a story beginning with the geological records of the first emergence of life on earth three to five billion years ago and concluding with the dawn of an inclusive democracy in South Africa. Areas covered include geology, archaeology, rock art, traditions of early settlement, frontier conflicts, the South African War, conservation, economic development, the contemporary political struggles in the 20th century, and the significance of all of this in the light of contemporary debates over heritage. 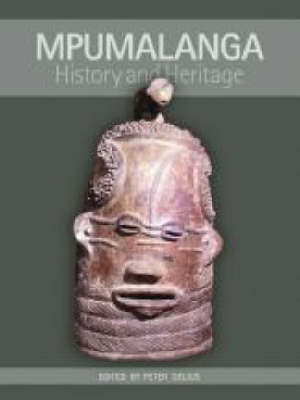 This title is aimed at raising awareness and stimulating debate about issues of history, heritage and an evolving identity in Mpumalanga. Ultimately, it seeks to reveal the province's past and to present it in ways that will maximise its potential to enrich the lives of current and future generations.